In 1981, Pamela Sue Martin appeared in a loving tribute/hilarious spoof of the movies called Flicks. Like similar projects such as Kentucky Fried Movie and National Lampoon's Movie Madness, Flicks humorously examines cinematic cliches and typical themes to great effect. 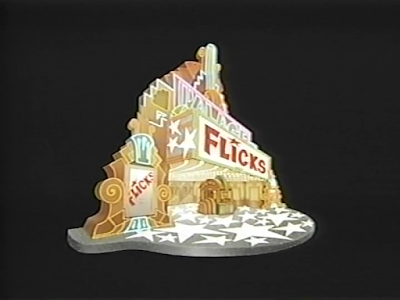 However, Flicks was shelved after it was made...but thankfully it was released on video in 1987 so everyone could enjoy this comical masterwork. Though the film has garnered some bad reviews over the years, it really is a very, very funny collection of movie parodies (it also features a number of familiar faces, most notably Martin Mull and Joan Hackett). 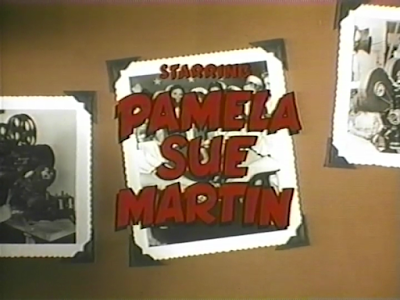 Beautiful actress Pamela Sue Martin is first-billed in Flicks. The movie is made up of various segments and Martin stars in the amusing final sequence. In a satire of detective film noir, Harry Shearer provides the voice for an alien/insect private investigator who comes to Earth to find a missing person. 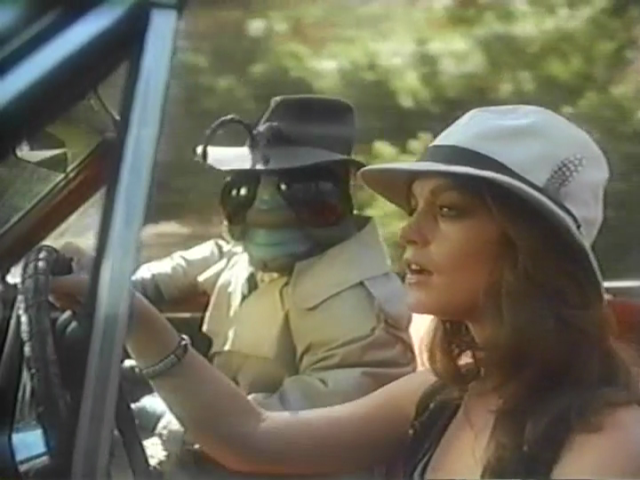 Eventually, he crosses paths with the gorgeous Pamela Sue Martin and she must keep a straight face as she interacts with (and kisses!) a guy in a bug suit! She adeptly handles her role and her dazzling physical beauty and charming demeanor is one of the highlights of the funny and very silly Flicks.